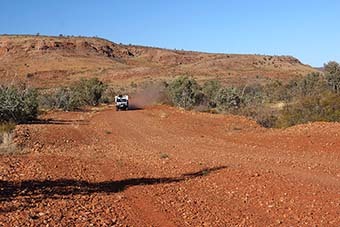 Travelling through the Davenport Ranges National Park. 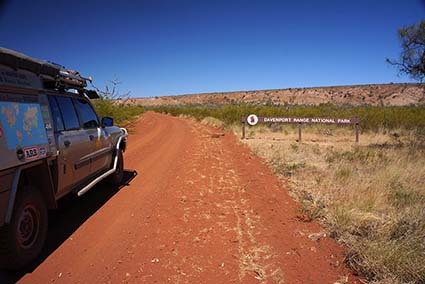 We've driven past the turn-off to this park many times but finally decided we better go in for a look, so we headed up the Stuart Highway and took the turn-off north of the Devils Marbles CP onto the Binns Track. They have a camping ground behind the 'Marbles' but it is crowded with vans and wasn't our scene at all - we went up the road, took to the Binns Track and found a spot to ourselves about 12km east of the highway. Stopped in to the Kurundi HS which is a good looking property which covers 3340sqkm and runs about 12,000head of cattle - herefords in the north; brahmans in the south. The store there has fuel and limited supplies including guitars and electric cars (for the nearby Aboriginal community). Many of the original stone buildings have been incorporated into the new larger homestead. 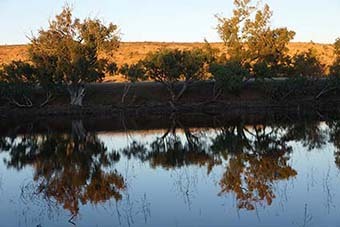 This property has a large waterhole on it named after Ron's G-Grandfather, James (Jim) Lewis, son of James Lewis (one of the original South Australian settlers and a member of Charles Sturt's 1844 expedition to Central Australia) and brother of the Hon John Lewis. They rode 'pony express' on the OTL line back in 1871 or '72, to get communications started by the due date and we're not sure if the waterhole was named by him or for him. Whatever, we got permission to visit this delightful stretch of water and then headed into the national park. Took the well signposted road into the DavenportRanges NP at Whistleduck Creek, the road for the whole 24km to the park having been graded earlier this year and in good nick. Checked out all the campsites - about 14 in all, but only two are good and we picked the one (no4) at the end of a sidetrack on a small tributary of Whistleduck Ck. 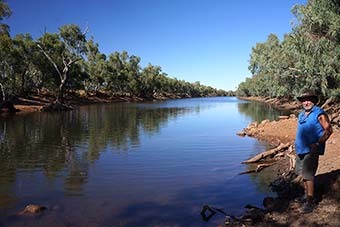 The track ends at the campsite which is located right beside a waterhole and a small gorge; the waterhole still holding water (the creeks here haven't flowed this year, by all accounts) which attracts quite a bit of birdlife and it also holds a few fish! 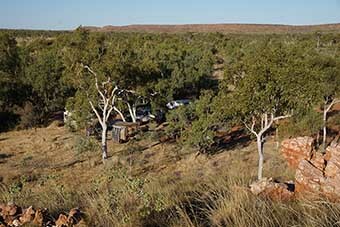 The other good camp is down alongside the main creek - most of the others being alongside the track in the middle of the scrub. Cost to camp is $3.30/night. Went down to the Irrmweng Rockhole (pronounced 'ear-moong-a'), about 2km from the campsite. This is a long tree shaded waterhole in a low gorge of Whistleduck Ck. Camping is not allowed here. Lots of good birdlife and other animal life including frogs and fish. Lots of signs of wild horses and donkeys around too. 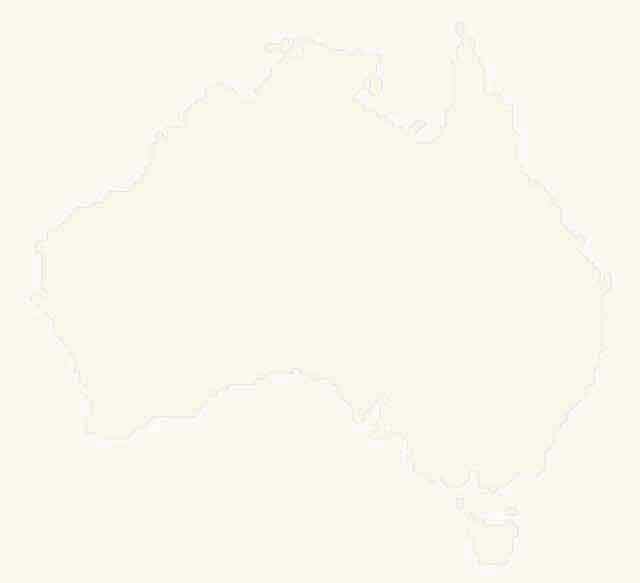 From here we checked out the Jim Lewis WH and then wandered around the range and got to the main access track to Old Police Station WH (GPS 20º 45' 18.5" S 135º 11' 18" E) and wound through the hills along the edge of the main range to the Frew River and a long stretch - about 1km long - of water that is the waterhole. Trees line the stream here and a low gorge/rock choke is found at the eastern end. Quite a few birds including brolgas and W/N herons, grey teal and more. A few people camped here - its a nice spot. 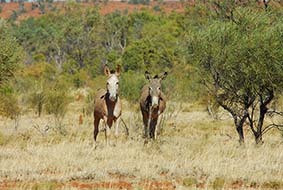 For more details visit: www.parksandwildlife.nt.gov.au/parks/find/davenportrange. The Binns Track south approaches Wolfram Hill and the original settlement of Hatches Creek and from here we started to get into some old diggings and ruins. The track - really a graded track - crosses Mia Mia Creek (a major tributary of the Frew) and there are the scattered remains of quite a bit of mining around here. Just after we got started and around the hill a bit we came to the main mine in the area - big steel headframe complete with cables and cages, winch winding gear, ore dumps, settling pits along with debris from the crushers and refining process. Wandered around here for over an hour. 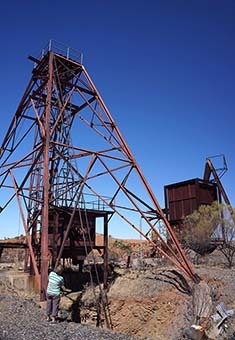 This mine looks like it was worked post war - maybe as late as the 1970's as there were a couple of old car bodies in the dump, one a '63-64 Holden. Some of the shafts were around 60' deep. From here we continued west passing through the ranges and some good camping spots before heading back to the Stuart Highway and then south to Alice Springs. 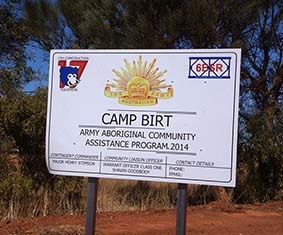 Passed by Camp Birt: Army engineers from 17th Construction Squadron, 6th Engineer Support Regiment, are in the outback to assist the Wutunugurra and Canteen Creek communities, as part of AACAP. Army engineers are delivering several community infrastructure projects, including a community centre, workshop and an all-weather road. The work is giving junior soldiers the opportunity to plan and execute the construction sequence in an isolated location.